I purchased some polenta at the store on a whim, and I’ve been meaning to make use of it. This was my first attempt, and I used instant polenta, but next time I will make it the old-fashioned way. The sauce was really flavorful and simple, and the polenta was a welcome change from pasta. Prepare the polenta according to the package directions. I heated mine on the stove, stirring constantly, and added parmesan at the end. To make the shrimp, heat the olive oil in a large skillet over medium heat. Add the onion and saute for a few minutes until it begins to soften. Add the garlic and red pepper flakes, then season with salt. Saute for two more minutes. Add the diced tomatoes and butter. Bring to a simmer and cook for 15 minutes. 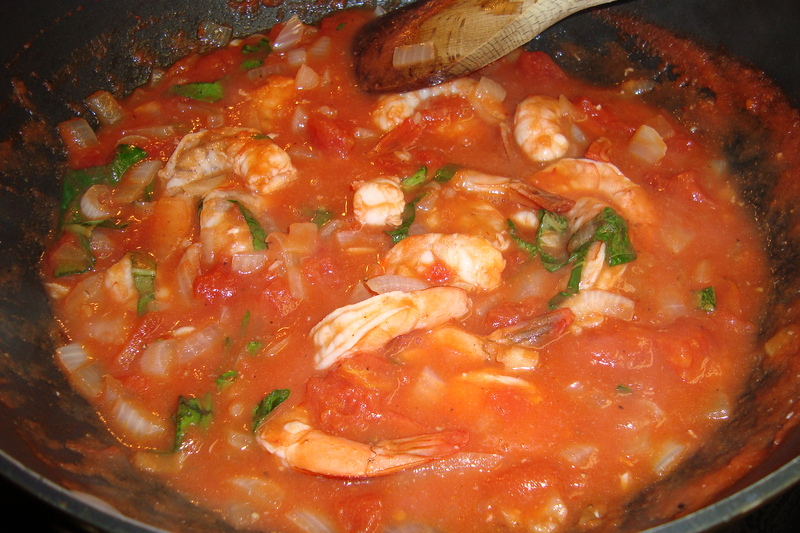 Add the shrimp and basil at the very end, and continue to cook until the shrimp turns pink. 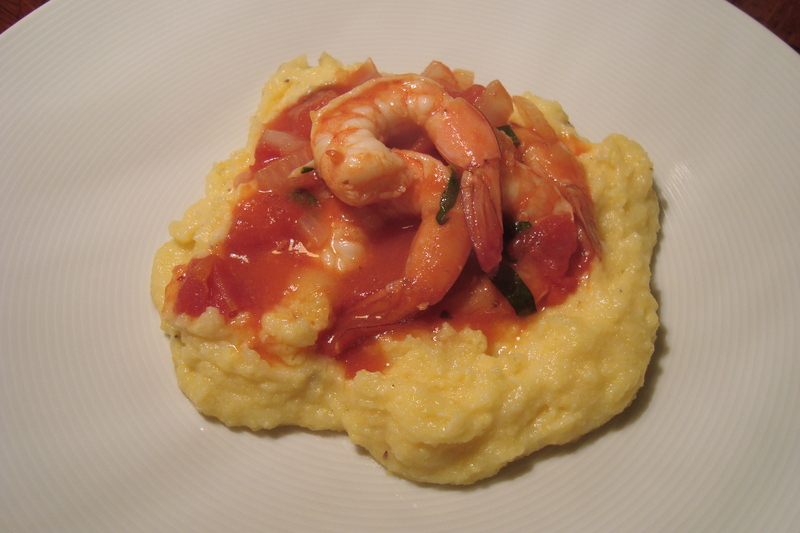 Serve the shrimp and tomato sauce over the polenta. 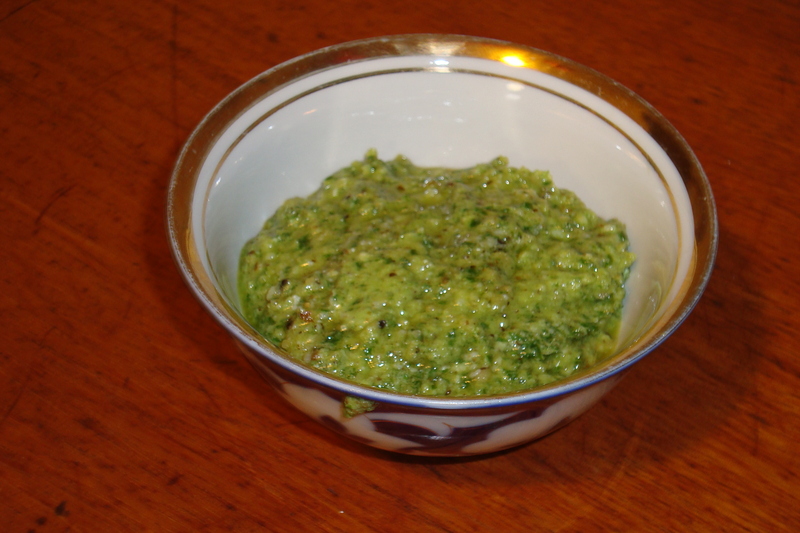 For a quick lunch yesterday, I made pesto out of basil, pecorino romano/parmesan blend cheese, walnuts, and one clove of garlic. Put it in a food processor and pulse while streaming olive oil into the mixture. Boil some whole wheat pasta. While the pasta is cooking, brown a few shrimp in a pan. Remove the shrimp once pink, then add some frozen peas to the pan. When the peas are defrosted, add a bit of butter and a bit of half-and-half to the pan. 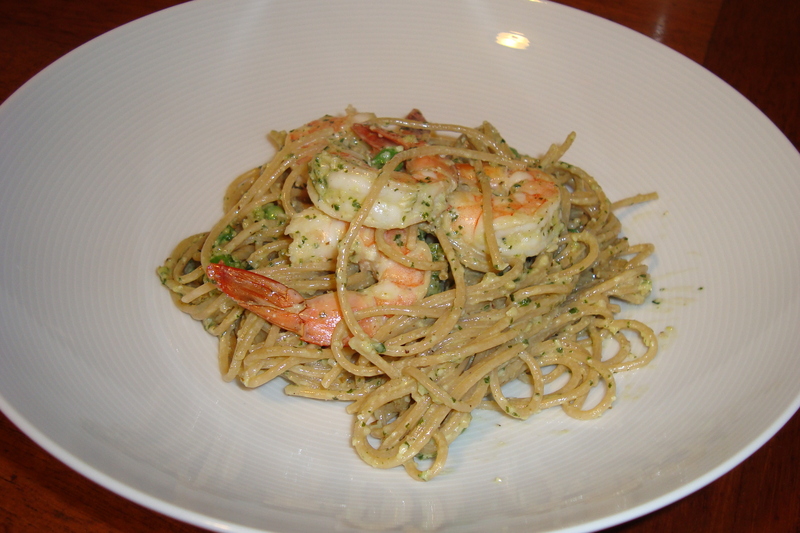 Toss the pasta with the shrimp, the cream and peas mixture, and the pesto. Serve with tons of black pepper and some cheese. You can make the pesto in advance or use store-bought pesto to make this even quicker to prepare.